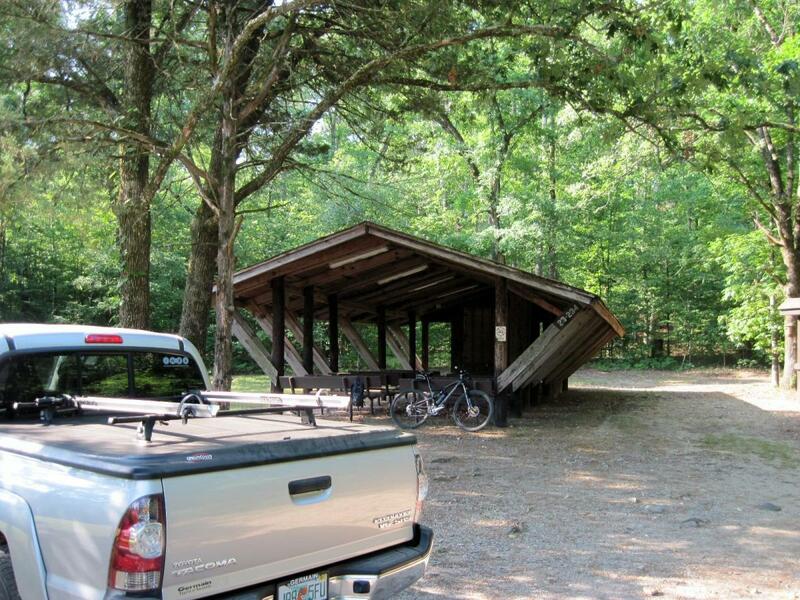 To make this a looped ride, start the trail behind and to the left (south) of the pavilion and ride to CR47. Turn right (West) on CR47 and start a cw loop. The CR47 portion is a mile uphill and a mile down to Pipe Spring (safe water) and past it the off road portion picks up on the right. The trail breaks out numerous times to the road for stream crossings, but the road sections are short. Each breakout is marked, but can be difficult to see in the overgrowth. Ride the trail until you get to the intersection of CR47 and CR47A where a trail head for Hickory Nut Mountain is located, turn back and retrace you route back to Pipe Spring. At Pipe Spring go North on the Charlton Trail where you'll have a good climb over a mountain and a fast ride down to the Crystal Spring Trail Head. Review: A very enjoyable ride with some climbing. Mostly beginner rated except for intermediate climbing grade on some sections. Lovit: Crystal Springs MTB Trail 4.00 out of 5 based on 1 ratings. 1 user reviews.